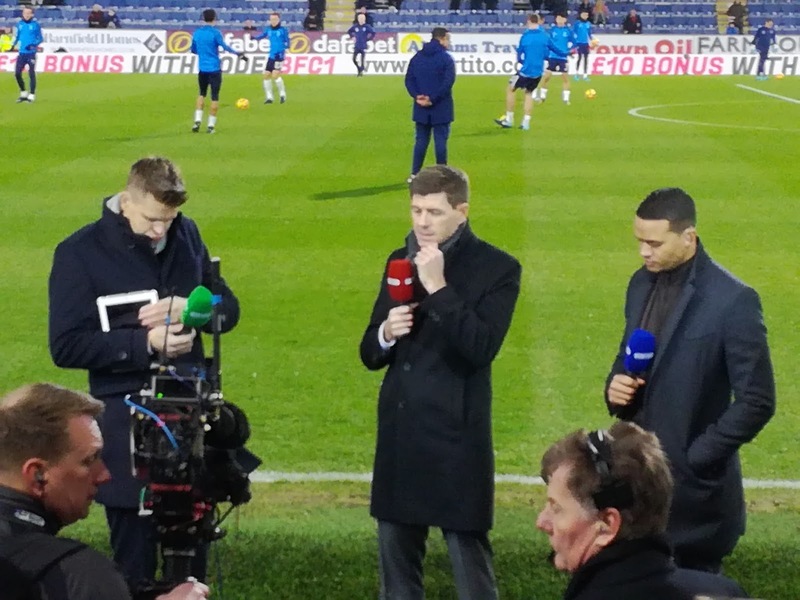 In what seemed at times to be a daunting quest to complete the ninety two professional football grounds in England, one uncharted venue has stood out like a beacon for several years now, mainly because it lies only seventy miles from home. That quest to 92 is not that far from completion now thanks to a concerted effort over the last three years, so prior to Saturday’s journey to Lancashire, only ten more grounds remained, and by my calculations I reckon it’ll be ‘job done’ by the end of the 2018-19 season. So, Burnley, why has it taken until now? Hard to say really, when I was watching Derby regularly, we never seemed to meet, and since then, I’ve looked at doing it by train, but that was fraught with logistical challenges. Then they’ve had spells in the Premier League which meant tickets were not seemingly straightforward to acquire, plus, from a journey perspective, it might only be 70 miles, but only if you go via the High Peak, otherwise it’s 100+ if you use the M6 or the M62. 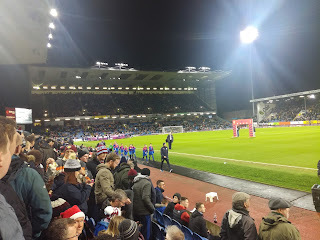 I’m making excuses now, let’s be honest, I’ve just never got off my arse and made the effort, but, it was while watching Match of the Day earlier this season I kept seeing empty seats at Turf Moor, so when I saw they had a midweek game in December against Stoke, I thought I’d give it a go. Simple, the website said tickets were available, but, just below that was the game against Tottenham Hotspur, and strangely, tickets were available for that game. For some unexplained reason, young Master Hatt has developed an obsession for all things Spurs. I say unexplained, because up until a year ago he wasn’t even interested in football, then almost from nowhere, it happened. He’s absolutely football and Spurs obsessed, which is fine by me, I have no problems with Spurs, in fact I quite like them, so our conversations have taken on another dimension. The tickets had to be bought, what a great Christmas present that was going to be for him, for all of us in fact, and from my point of view, it was no excuses now, Burnley was going to finally happen. It’s strange though, for saying how traveled I am in England, Burnley is a town I’ve never set foot in. I’ve been to nearby Nelson, Colne, Padiham, Blackburn and Darwen, but never a town that is one of the smallest ever to host a top flight football team, with just 75,000 inhabitants. We chose to take the High Peak route, before joining the M60 and then the fog bound M66 right up to Accrington, and then finally getting onto the M65 and into the centre of the town. A parking space was found a couple of minutes walk from Turf Moor, and then it was a short walk into the small town centre. This is probably the point where you realise the size of Burnley, the town centre consisted of a pedestrianised area and an undercover shopping precinct / market, that was pretty much it. I’m not one to knock places, because they are what they are for a very good reason, but Burnley did not strike me as an attractive town. Economically it’s tough, immigration has caused a swing in the demographic and on the back of that there has been tension, notably the race riots of 2001. 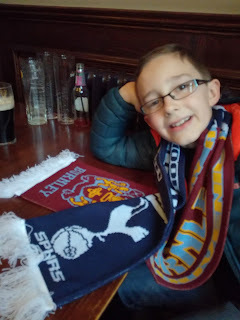 We found a seat in the local Wetherspoons, it would do the job pre-match, the atmosphere was buoyant and the service good considering the volume of people, but young Hatt was itching to get to the stadium, so Turf Moor it was to be. This is the staggering thing about Burnley Football Club, 75,000 inhabitants in the town, yet an average home crowd of a touch over 20,000. 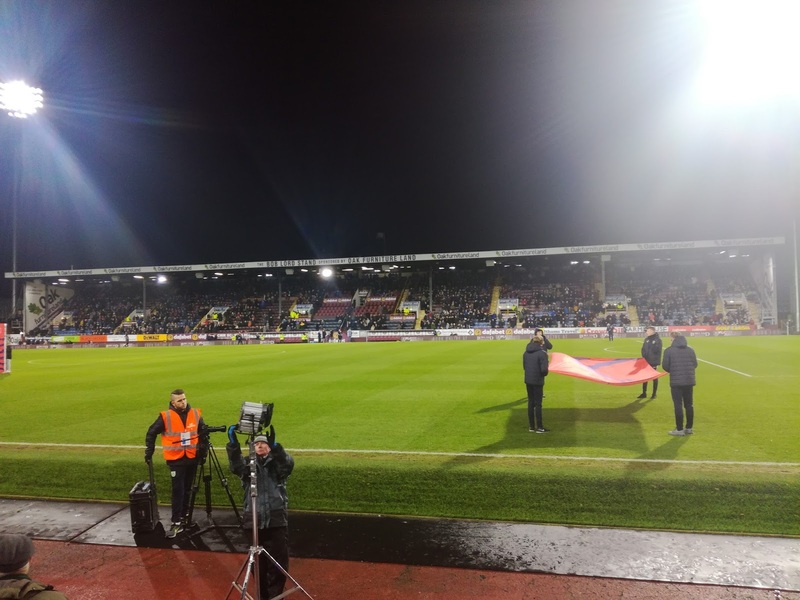 Proportionate to its population, Burnley is the best supported football club in the Country with nearly 27% of the locals in theory attending games. To put that into perspective, Derby County for example, using those ratios would get average home gates of 67,000!! 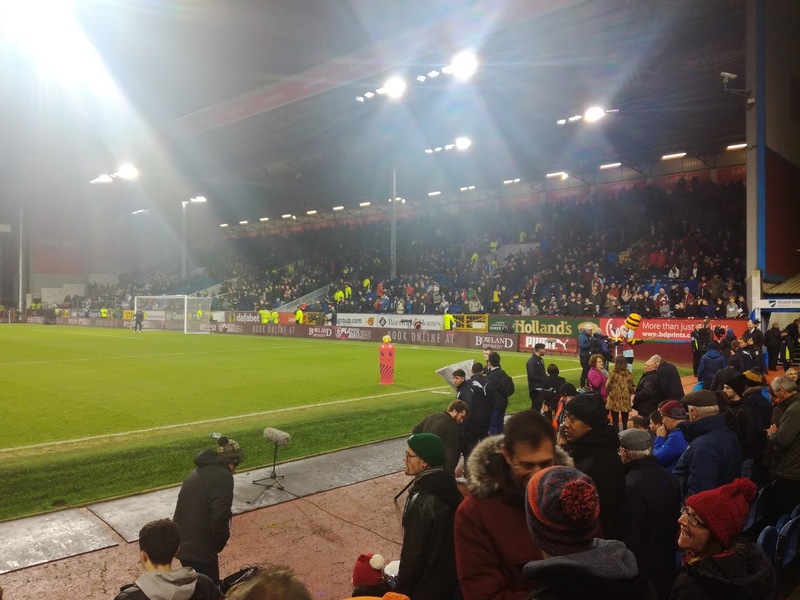 Is Burnley a football town? You bet it is, probably the most football town you could ever find, and when you look at the clubs history, it’s certainly punched above its weight, let alone now where they sat pre-game in the top five in the Premier League. It was a hive of activity around the ground before the game, and we spent a short while in the Fanzone that sits on the corner of the James Hargreaves and the Jimmy McIlroy Stand’s. Mrs H had a pint from a double decker bus, I watched an interview with the impressive Sean Dyche on the big screen. Turf Moor is well documented, it’s a traditional football ground, with modern stands on two sides and older stands housing the away support and of course the old Bob Lord (Main)Stand which serves the Directors / Sponsors / Gareth Southgate etc. Pre-match we were sat just behind the BT Sport brigade which offered fine views and photographic opportunities of Messrs Humphries, Gerrard and Jenas, but as kick off neared, the stand filled and it turned out we were in the designated standing area of the stadium. I found that out when I politely asked the gentleman stood in front of me if he wouldn’t mind taking his seat. If you can’t beat them (and I had no intention of trying), then join them! What we then witnessed was a privilege, the greatest striker in present day football (as the stats now prove) scored a hat-trick in a game that Spurs pretty much dominated from start to finish. Kane’s first goal came from the penalty spot after pantomime villain Dele Ali hit the deck, but then he produced two confident and assured finishes in the second period to secure a comfortable and deserved 3-0 victory. Harry Kane is an outstanding footballer, and I’ve had the fortune to see the likes of Lineker, Shearer and Rooney in the flesh, but this lad is the best, and so level headed with it. No doubt our media will build him up to knock him down when he inevitably has a lean spell, which may well fall at the World Cup knowing how things often work for England. Talking of knocking, the Burnley support around us was somewhat vitriolic, and ok, we might not have been in the most mild mannered section of the ground, but the abuse Ali in particular took was vile. Maybe I’ve been too far removed from the professional game for a while, but when I used to travel home and away with Derby, I can’t recall individual players being singled out for such abuse. Remember, he’ll be wearing a white shirt in the Summer gents, you won’t be calling him all the names under the sun then! We had to make sure young Hatt kept his emotions to himself as Spurs were finding the net. 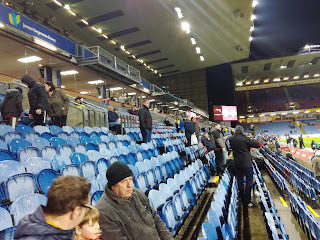 Sat behind us to the left was what looked like a Son / Father / Grandfather combination, and when Kane scored his second, the youngster made the mistake of cheering. 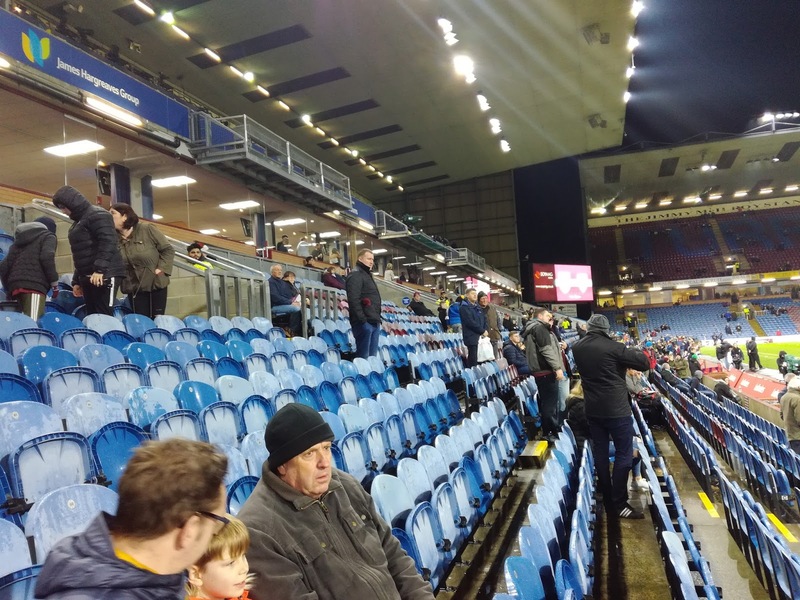 Clearly then it was Dad’s problem, but fortunately some of the more reasonable Burnley support offered to swap seats and allow them to watch the rest of the game un-threatened. It’s not right, but it happens and it’s a risk. I had a more measured view on matters, I’d seen history, both sides of it. History in the more traditional sense in terms of Burnley Football Club. But in Harry Kane, we got to see history in the making.